Hi, my name is Laura-Jane Barber, & I want my students to like me! 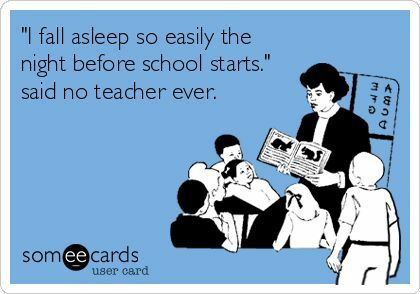 It was my first year of teaching. The “right” thing to say to stay off the radar was, “I don’t care if my students like me.” I even said that phrase back then. But… It was all a lie. I have always wanted my students to like me because I like them. Don’t get me wrong, I know respect is more important, but it’s much easier to gain respect from someone who likes you. We are taught to be mean at first, “don’t smile until Christmas,” and maybe that works for some, but it’s not me. I’m cheerful, enthusiastic and excited to hangout all day with my high schoolers. My first year of teaching, I think I got lucky. I had relatively easy students to manage–which was a blessing as I was a traveling teacher with 2 schools and 6 classrooms while pregnant. God knew my limits. My second year was the year that fell apart. I had disrespectful students, and at first I gave too many warnings that made it impossible to follow-through later. I got trapped by, “well you let so-and-so have 5 warnings, I only got 1.” How do you argue with something that is irrefutably unfair? I learned the value of doing what I say I’m going to do from day 1. I know there are a lot of new teachers out there and teachers who have had a year of bad classroom management. I want to offer hope and advice to prevent anyone from having a year like I did my second year. I’m not gonna lie, my heart strings always make me want to give just one more warning. I feel sad for the students. However, I cannot give in to those feelings. 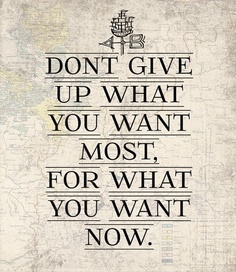 It’s like the quote I’ve seen circulating around Pinterest about dieting, “Don’t give up what you want most for what you want now.” I want a positive, inviting, warm classroom climate most. I will not give that up for wanting to avoid a student getting mad at me today. Tuesday of Thanksgiving week is always particularly hard to keep high schoolers on task. For that reason, many teachers give tests–ensuring that students have to stay focused and quiet. For half a class period during each of my classes, I had to run another teacher’s speaking tests (because she was absent), so I made a deal with my students. As long as they stayed on task and completed an independent Cloze while the substitute was with them, we’d do something fun for the second half of class. Needless to say, every class worked hard while I was with the other teacher’s class. So what did we do? I stole this idea from my colleague, Rebecca Gould. She printed out a Turkey coloring page and on each feather, students had to write one thing for which they were thankful in the target language. There are around 15 feathers on these turkeys. Then the students colored them if they had time remaining. Finally, I had my students hang them in the hallway for everyone to see. Gratitude is a huge determining factor for happiness and happiness is big factor in success. Hopefully this activity helped our students in more ways than one, besides being fun :). My school district was one of the few who had school on Monday and Tuesday of Thanksgiving week. We teachers dreaded those two days of trying to keep wild and excited teenagers on task. We had to seriously strategize in order to prevent those two days from being a waste. 2. Assign each color a topic to brainstorm. 3. Group the students (I have sorting pencils that can be bought here). 4. Let the fun begin! I set up before school and then my students and I headed to one of my school’s newly furnished collaboration spaces. As they entered, each student received a sorting pencil and sat by color. Each color group received a different assignment and had 10 minutes to complete it. After 10 minutes, students regrouped by shape and presented their information to their new groups. After 15 minutes, they moved to a number group to fill in any gaps by brainstorming or discussing the topics they lacked. Finally, we returned to the classroom to debrief. The activity took the entire class period, and many students openly admitted that it was a fun activity :). While I am a major advocate for the language lab and love doing random groupings on there, it is nice to mix things up and get students moving around. The sorting pencils made it impossible for people to be grouped together more than once–which made it obvious when students tried to cheat the system. Fortunately, I only had a few who tried to do that :). This year, election day happened to fall right in the middle of my level 3 classes making environmental recommendations with the subjunctive. Taking a break from the environment, I had my students write a letter to whomever won the election, giving him advice on how to make everyone happy. I encouraged students to make as outlandish requests as possible to make it more fun, though as with every writing, they had to give details and elaboration while incorporating transition, sequencing, and flavoring words. It was a riot! One student recommended that the president give him a tiger because he likes tigers and does not have one. Other students recommended that college be free for everyone, that the president should give them cars and houses, a million dollars, etc, etc. It was a fun break from our thematic unit while practicing much needed skills for their end of semester essay test. In 4 years, we’ll do it again :). Today, I was off-campus for a great collaboration day among LOTE (World Language is another name) department chairs and team leaders across my district. While I was away, students in all of my classes misbehaved for my substitute. I’ve already had to be absent for various reasons and multiple times this year. I’ve had 4 other subs in my classroom this year and EVERY single one has given my students a great report, including last Friday. I am holding onto this knowledge as I prepare for how to handle my students tomorrow. Why? Because A. it makes me feel like less of a failure and B. It reminds me that my students can behave for other teachers if they choose to do so. 1. When students enter the room, I will great them at the door with a reflection to complete in English–sorry, we are going to have to take some English time tomorrow, it just can’t be avoided in this situation. As they enter, I will tell them to immediately sit down and complete the assignment without talking. 2. I will give the students up to 10 minutes to explicitly complete the reflection before we begin our discussion. 3. When we begin the discussion, I will start by reminding them of the speech I always give them when I’m going to be away. I will tell them that as such, I do not want to hear any disrespectful comments made about the substitute or anyone in the class. I want to know what happened but in a respectful and honest way. 4. We will then go through all of the questions together and debrief. Describe your class period yesterday with the sub. Give facts only. Do not include feelings or opinions. Be sure to explicitly state anything you specifically did during the class period. What could you have done to improve the situation that you did not do? Again, facts only, no opinion statements. Do you feel that your and/or your classmates’ actions were justifiable? Explain. Here is an appropriate place to include your opinion. What are Mrs. Barber’s expectations when there is a substitute teacher? Do you feel you and/or all of your classmates adequately met Mrs. Barber’s expectations for when a substitute is present. Explain giving as many details as possible. How do you think Mrs. Barber feels today after seeing the report from the substitute? Explain. What advice do you have for how Mrs. Barber should handle this situation? You must give a minimum of 1 course of action she should take. I don’t know how effective this will be, but I will report back. I am open to ideas from other people if you read this before tomorrow at 7am (I will definitely check for comments). I also plan to discuss and establish norms for when substitutes are present with all of my classes. Not all absences can be announced when dealing with sick children, so I would like to know that in the future there are even clearer expectations for behavior with substitutes.